Choose one or several hashtags and view all of the published content on social networks on the printer display. 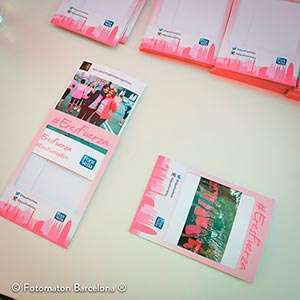 Encourage the crowd to share the event on social networks and offer the users the ability to print the images with your personalized branding. 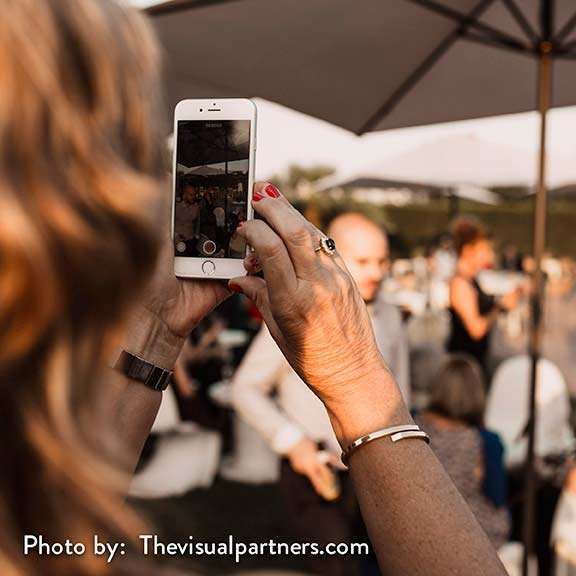 Reinforce your brand by having your event go viral on social networks. Increase the content of your hashtags with new material. Attendees of your event will take the printed photo with them as a gift. 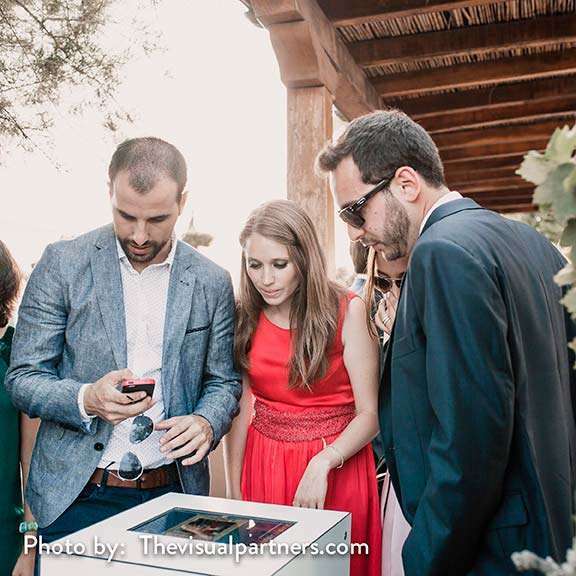 Help to photograph every corner of your event and get to know the interests of society with the shared photos. 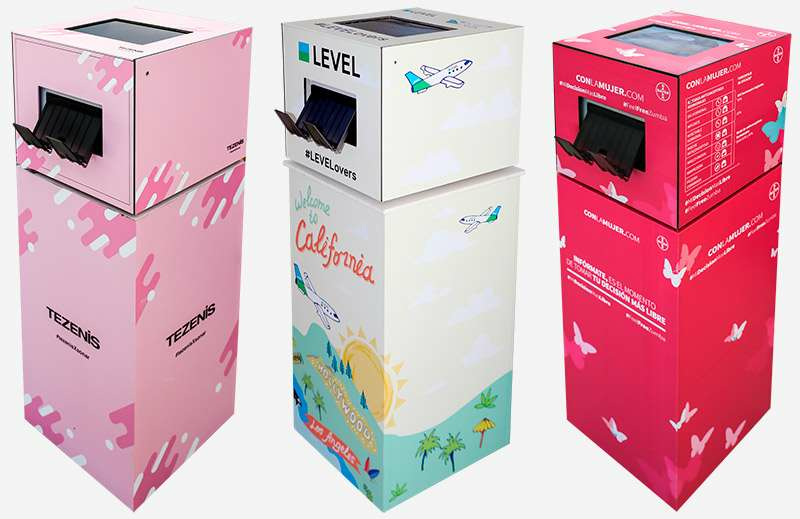 Personalize your printer with vinyl according to the design of your event. This tool allows the users or guests to unleash their creativity and obtain a printed copy immediately. They will feel like part of the event as they collaborate with the contribution of their images. This photographic and creative freedom will result in a feeling of integration in the event for all those participants, as they are able to choose the direction and photographic setting of the event. Once the desired #hashtag has been placed, the system automatically tracks any new images that are uploaded to the Instagram or Twitter networks, appearing on the user interface within a few seconds. The user must simply select which photo to print. 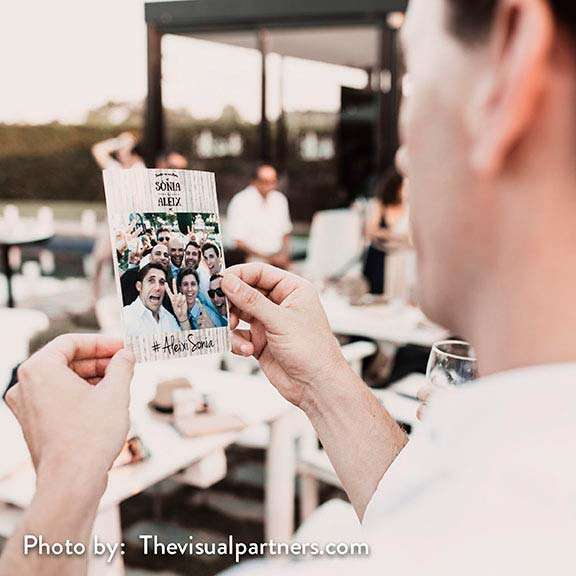 Encourage the guests to participate in your event with the fun Instagram printer. Reinforce your brand with logos or slogans on your guests’ photos. Maximize your social networks such as Instagram or Twitter. Discover our photo booth services for weddings and parties. Information, rates, and features of the services for weddings and private parties. 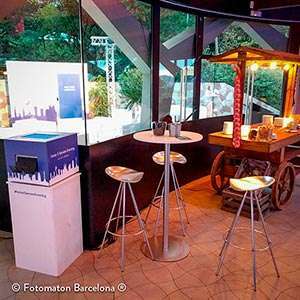 Photo booth for events totally personalized according to your needs. Find out about all the possibilities and have fun with your clients while strengthening your brand.